Throughout our lives most of us will at some point experience trying emotional difficulties. Sometimes the emotional pain left over after these encounters are seemingly impossible to let go of. It isn’t difficult to get stuck letting the past affect your everyday life and future decisions, but that is no way to live healthy or happily. There are actually positive ways to let harmful past occurrences shape a better future for yourself, and that is by learning from them and then letting them go. Of course, letting go is easier said than done. There is no simple way to do it. It takes a strong will and the courage to try and learn to control your thoughts and change your mindset. You need to try and recognize the reasons why you need to let go of what it is that is causing you emotional turmoil. You need to recognize that this past experience doesn’t need to continue hurting you forever and nor do you want it to. 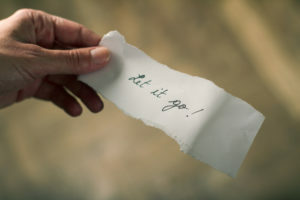 Write down the reasons why you no longer want to hold on to this harmful thing in your mind and use these reasons to help motivate you to take the steps towards letting go. Studies have shown that people who have a tendency to repress emotional disturbances are actually more prone than others to certain diseases. Pushing things back into your subconscious, or attempting to, will not help you move on. Accepting what happened is necessary in order to fully let go of something and not let it negatively affect your future endeavors. Sometimes staying in your own head is dangerous. If we dwell on the thoughts and feelings it can lead to over-analyzing or convincing ourselves of untrue facts. Try talking to a loved one about what you are feeling and thinking. If you find that this makes you uncomfortable, or that they won’t understand, or that you don’t think it is helpful, then truly your best option is to speak to a professional, such as a trusted Carrolton therapist. Letting go and moving on means embracing the unknown. Sometimes we are afraid of letting things go because they have been with us for so long, subconsciously we become fearful of not having that pain there because it has become a part of who we are. However, the truth is, we cannot be our best selves or reach our full potential by letting past occurrences hold us back or negatively affect our current and future life decisions. Embrace that you don’t know what is coming and that nor can you control it. All you can do is use what you have learned to address and confront what life brings you. Part of letting go means retraining your mind to focus on the positive. If you feel negative thoughts trying to creep in, focus on positive things to keep your mind from going there. Remind yourself that thinking those negative and harmful thoughts will not help you in any way. Don’t let the past decide who you are now or in the future, you have control, you just have to find it. Letting go is hard and trying to do it on your own can be overwhelming and discouraging. Talking to a professional can help you to alleviate the pain and move forward to better things in life. If you have more questions, don’t hesitate to contact us at our trusted therapy center in Carrolton. Start your journey to a healthier and happier you and schedule an appointment at Lifeworks Counseling Center today.